In an interview intended to focus on his successor as Chairman of the Bank of England, Mark Carney, Mervyn King chose to attack the Government on the pace of EU negotiations. I think Lord King’s criticism is unfair. Just like my exam revision of so many years’ ago, the EU always leaves decisions to the very last minute and the speed of negotiations are always dictated by the slower party. It has not been the British. Yet even the EU now recognise that as the twin spectres of autumn and winter gloom grow ever longer, when spring finally comes around, the UK will have formally left the EU. The Prime Minister’s Chequers Agreement, reached two months ago, was purported to have formed the basis for our final Brexit deal. In putting together this compromise, the Prime Minister has succeeded in pleasing few and angering many. However, this agreement has come under fire from both Remainers and Leavers alike. In putting together this compromise, the Prime Minister has succeeded in pleasing few and angering many. A recent poll by Sky Data shows that while 46 per cent of people want closer ties with the EU than what Chequers proposes, 33 per cent want them to be looser. New polling by Global Britain has revealed that half of voters do not believe the Chequers deal represents a “true” Brexit, while 45 per cent believe the agreement will have a negative effect on them. Would Chequers fulfil key Brexit promises, such as being able to strike our own trade deals and be free from the grasp of the European Court of Justice? Will Chequers ensure that the UK regains full control over its borders? The jury is out. Downing Street say yes, but many prominent Leavers have rubbished the plan. There is even speculation that Lynton Crosby, the mastermind behind the 2015 election victory, is secretly plotting to torpedo Chequers, and the Prime Minister along with it. So it is all doom? Well, no. Light may radiate from a surprising source: the EU. Rising tempers in the Conservative Party and in the electorate over Chequers may all be premature. Almost immediately after the government’s Brexit white paper was published, Chief Negotiator Michele Barnier said that it “risked the integrity” of the EU Single Market. He has since gone further and called Chequers “illegal”, adding that it would be the “end of the European project”. 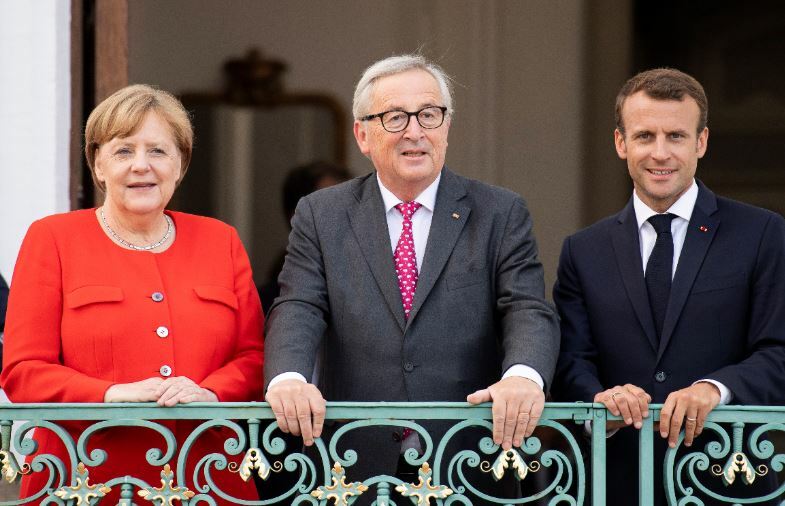 Among the presidents and prime ministers of EU member states (who will ultimately decide what kind of deal, if any, is implemented), the picture is similarly negative. Emmanuel Macron vowed to protect the EU’s “integrity”, while the Irish foreign minister Simon Coveney said that the reaction in Brussels to the Chequers deal had been “lukewarm”. With such a muted response from the EU, it is becoming clear that further concessions from the UK are expected. There have been small signs that the EU might be in the process of blinking first. Having spent so much political capital on the Chequers agreement already, it is unlikely that the Prime Minister will or even can give much more. The UK and the EU are thus locked in an elaborate game of chicken, with neither side willing to give in to the other while simultaneously expressing a desire to avoid a no deal scenario. In recent days, however, there have been small signs that the EU might be in the process of blinking first. Just last week Barnier stated that the EU is “prepared to offer Britain a partnership such as there never has been with any other third country”. And Macron has echoed this sentiment, and urging fellow European leaders to get a deal in the bag. Talk of offering the UK a “special deal” could represent a significant breakthrough. Much like President Obama’s infamous red lines on Syria five years ago, it seems the EU’s own red lines on a Brexit deal might not be quite as vivid as they once appeared. But was this not always an inevitability? The fundamental facts behind UK-EU trade have not changed since the negotiations started. With Britain importing over €22 billion in automobile goods from Germany last year (with only around €4 billion going the other way) and a further €7.3 billion and €5.2 billion from Belgium and Spain respectively, let alone the possible loss of the £40 billion ‘divorce bill’, the economic cost to the EU of a no deal Brexit is hard to overstate. Of course, no-one expects the EU to dismantle the Single Market just for us, but Brussels realises that a no deal Brexit is in the interests of absolutely nobody – except perhaps foreign exchange speculators who short currencies. Mervyn King’s prediction of ‘Brino’ – Brexit in name only – is politically an impossibility. Instead, a free trade deal which, through use of existing technology and HMRC’s proven ‘CHIEF’ import-export system, would ensure the smooth and swift movement of goods across borders and would meet the fundamental demands of all sides. Of course, there will have to be some compromise, but we are beginning to see evidence that the EU is willing to concede more than it previously admitted it was willing to do so. The EU is well aware of what Theresa May can and cannot concede. The Telegraph is well read in Brussels and, besides, realpolitik is a continental European word. It would be one of British politics’ greatest ironies that if after decades of Conservative Party leaders being toppled by the issue of Europe, it was the EU which ended up saving the current one from the same fate and raising her the heights of a new Boudicca.